Smile. It's the switch that turns on your charisma. to trust their gut, act on intuition, and step out boldly. 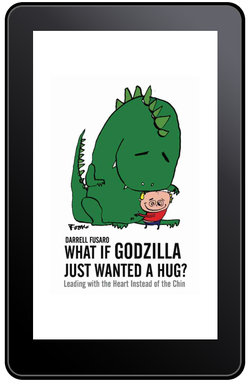 "Rarely does a book inspire me like "What if Godzilla Just Wanted a Hug?" has done. Your book invites people to look seriously but lightheartedly at their usual responses to life situations. You offer simple, practical alternative responses that really CAN turn any negative experiences into positive, life-affirming ones. I've recommend this book to my congregation and have used some of your stories as great examples during my Sunday talks." –Rev. Tom Thorpe, Unity of Independence, Independence, MO. Personally signed copies available directly from author. PRAISE FOR WHAT IF GODZILLA JUST WANTED A HUG? Order today and enjoy your eBook! What If Godzilla Just Wanted a Hug? reviewed in recent issue of Unity Magazine. Invite Darrell to speak to your team, class, or at your event. 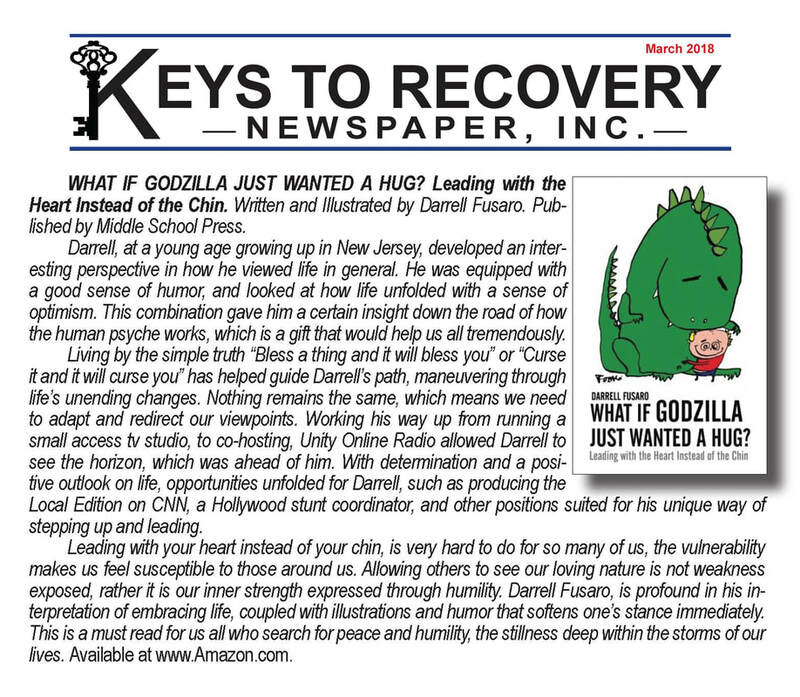 Using examples straight from his latest book, What If Godzilla Just Wanted a Hug?, Darrell Fusaro will give your group the Confidence to Discover and Trust their Creative Ability to solve problems. They will be enthusiastic to apply what they've learned, and they will make the thrilling discovery that they are indeed capable of enjoying, as Thoreau states, “… success unexpected in common hours." Recognize, trust and act on their intuition by reconnecting with their creative genius. Invite Darrell to speak to your team, class, or at your event. 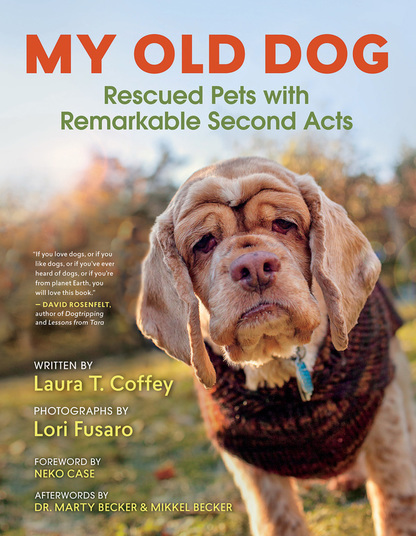 If you're a dog lover this will make your tail wag.